Virginia was the first state to require all schools to offer computer science after lawmakers made a revision to the required academic standards in 2016. By November 2017, the Virginia Department of Education adopted K-12 computer science standards to their Standards of Learning (SOLs) based on CSTA, K-12 CS Framework, and College Board Advanced Placement. These standards are intended to provide students with a detailed understanding of the study of computers, algorithmic processes, and cybersecurity. 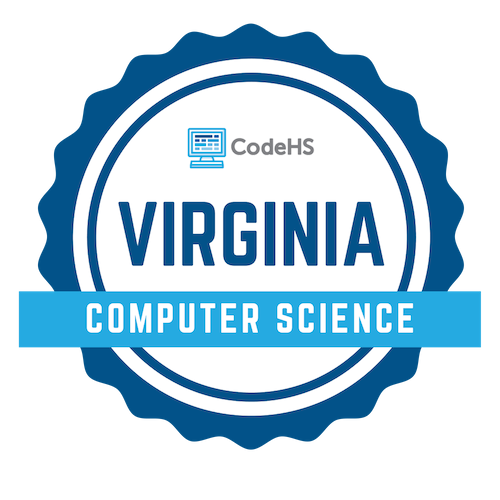 Bring a high-quality computer science pathway to your Virginia school district. Contact the CodeHS team today to learn more at codehs.com/learnmore or hello@codehs.com.